The Chuckit! 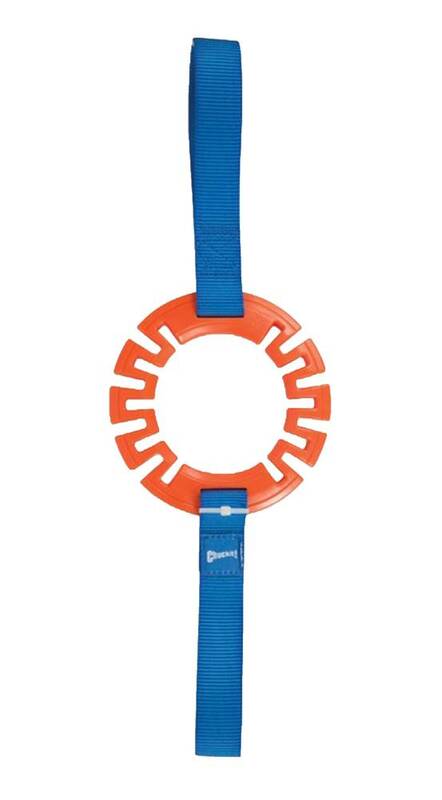 Ring Tug is Tug/Toss toy with spring-like TPR center that expands and contracts while tugging. Center ring provides weight for tossing while the Chuckit! nylon loops are strong and easy to grip. Great for small dog and indoor play.